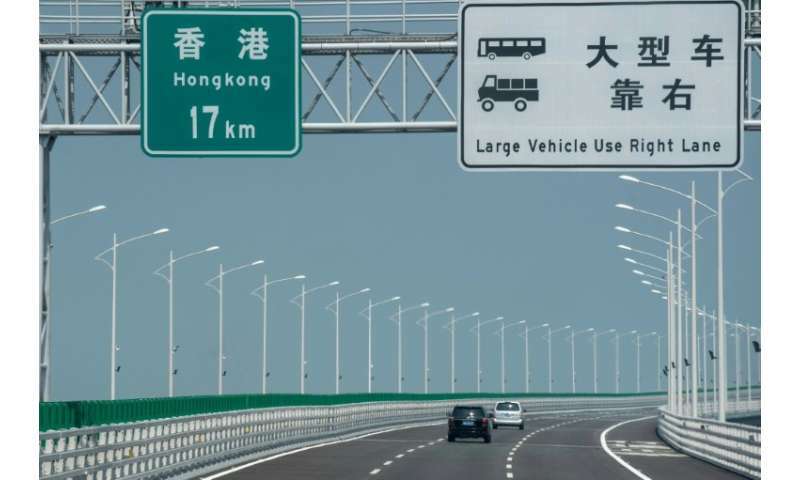 Touted as an engineering wonder, the world's longest sea bridge, which connects Hong Kong, Macau and mainland China, includes a snaking road crossing and an underwater tunnel and reportedly uses enough steel to build 60 Eiffel Towers. 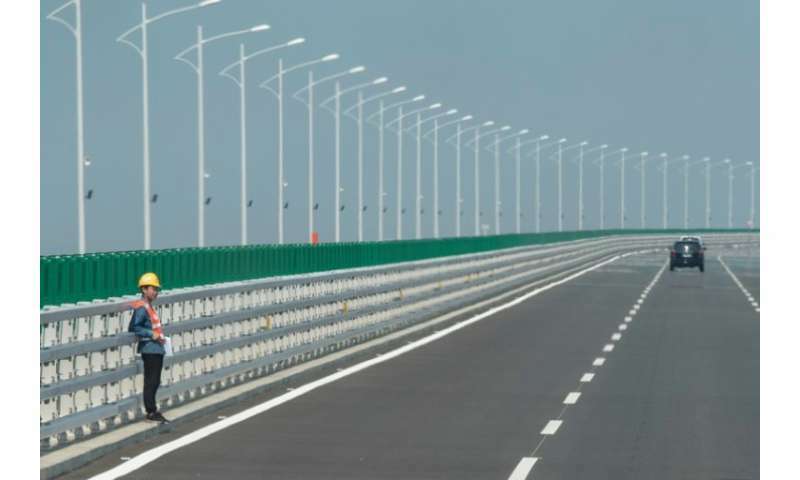 Nine years after construction began on the 55-kilometre (34-mile) crossing, a preview organised by the Chinese government this week offered a first peek into the megaproject. 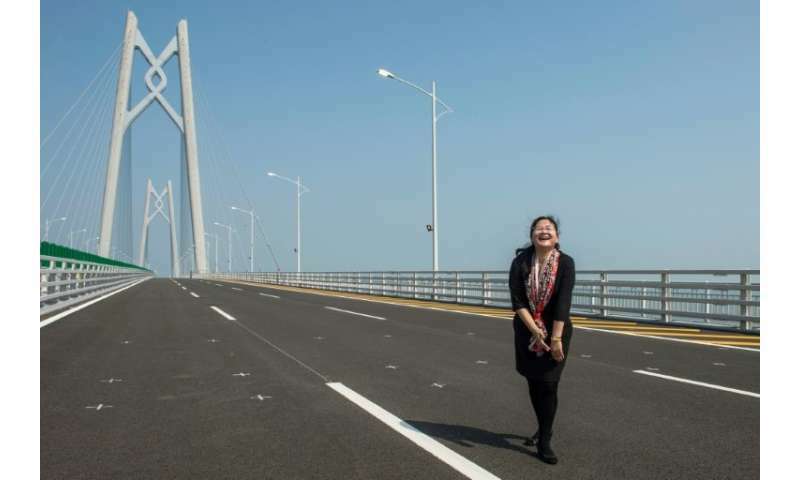 The bridge will link Hong Kong to the southern Chinese city of Zhuhai and the gambling enclave of Macau, cutting across the waters of the Pearl River Estuary. Although the opening date has not been confirmed, officials expect the bridge to be in use for 120 years and say it will boost business by cutting travel time by 60 percent. The 420,000 tonnes of steel used for the project represent 60 times the amount used in the Eiffel Tower, China's official Xinhua news agency said. Gao Xinglin, the bridge's project planning manager, said the construction of the 6.7-kilometre underwater tunnel gave him sleepless nights. 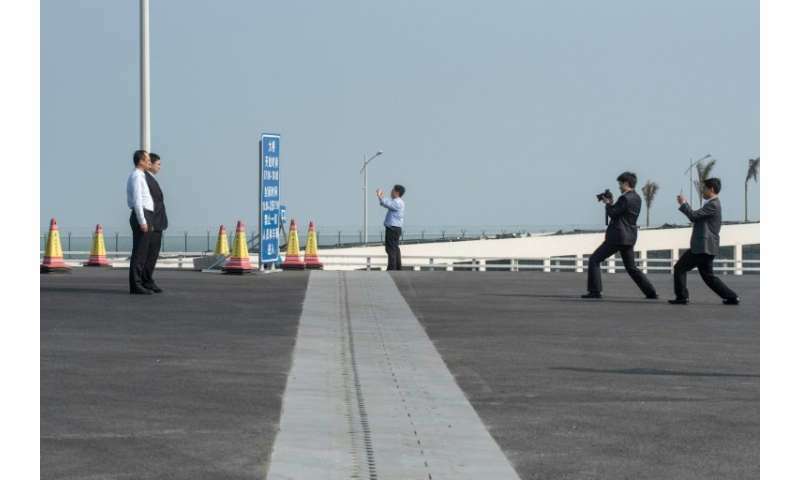 "There were many nights where I couldn't fall asleep, because there were too many difficulties during the construction," Gao told reporters Wednesday. "Linking the 80,000-tonne pipes under the sea with watertight technology was the most challenging," he added. 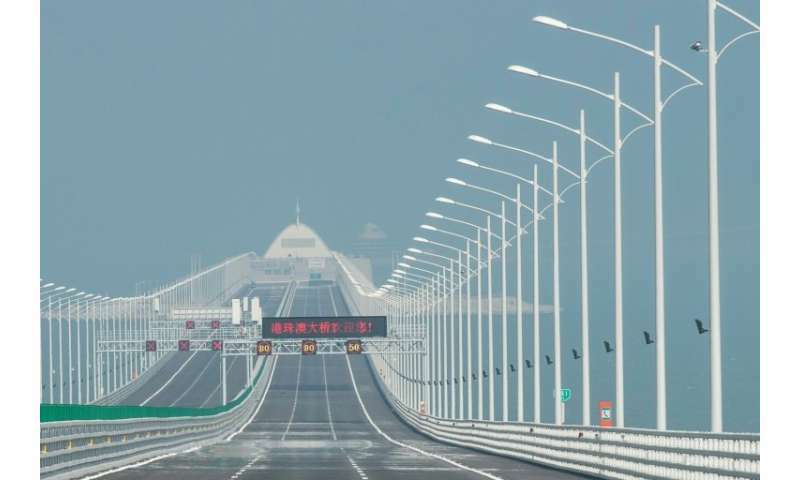 The Hong Kong-Zhuhai-Macau bridge project. 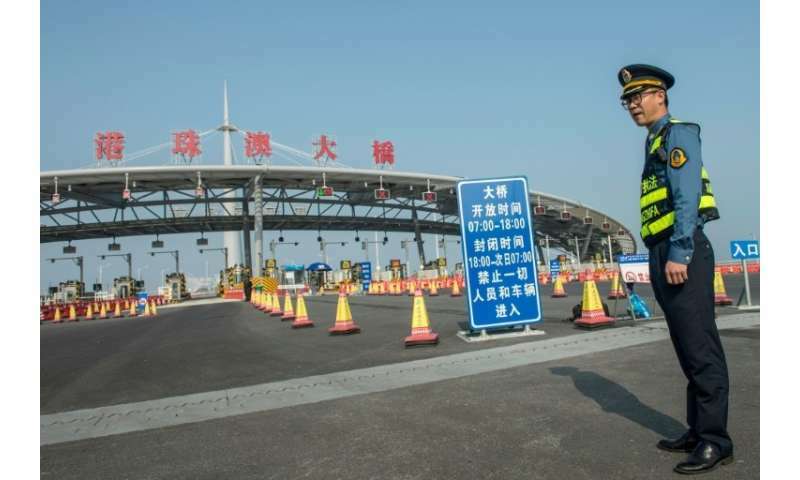 The total price tag for the project, which includes artificial islands, linked roads and new border-crossing facilities, is unclear but some estimates run to over 100 billion yuan ($15.1 billion), leading critics to slam it as a costly white elephant. 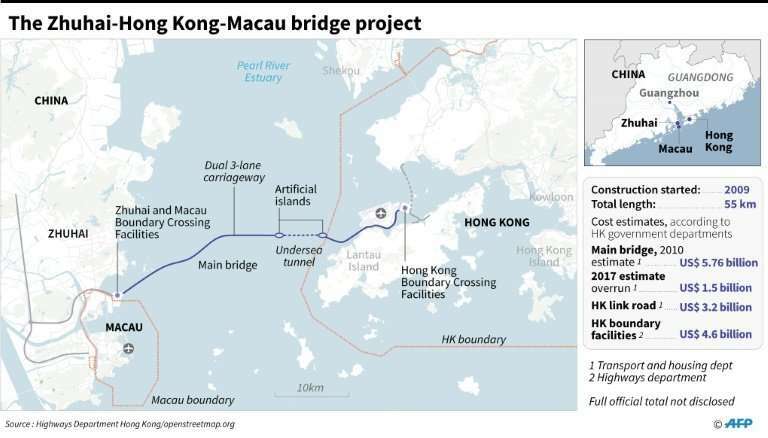 Opponents in Hong Kong say the project is part of Beijing's drive to tighten its grip on the semi-autonomous city. Dogged by delays, budget overruns, accusations of corruption and the deaths of construction workers, the bridge failed to open by the end of 2017 as hoped. There have also been safety concerns after 19 lab workers were charged over faking concrete test reports, with one man jailed last December.